1) Can You Hear The Music Play? Walking Circles can summarize what can be thought the general attitude a discerning proghead might have of this combo: nothing great, nothing bad, rather very average, but never offensive, therefore why bother??? Should you choose Danish groups to investigate, you might want to look at Burnin' Red Invanhoe and its successor Secret Oyster. 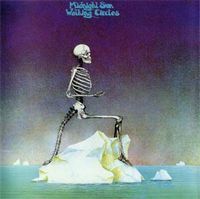 Post a review of MIDNIGHT SUN (RAINBOW BAND) "Walking Circles"